Today's Mid Week Match-Up is a request from Jim who writes: I am on a band with 4 friends in the north east. we play local shows once in a while. So far we have been getting by with a couple of hatch backs, but now we are beginning to book tours regionally and multiple cars are not going to cut it. We need a vehicle that will carry a minimum of 5, bass, drums, keys guitars and amps. Room for a bed would be a plus. 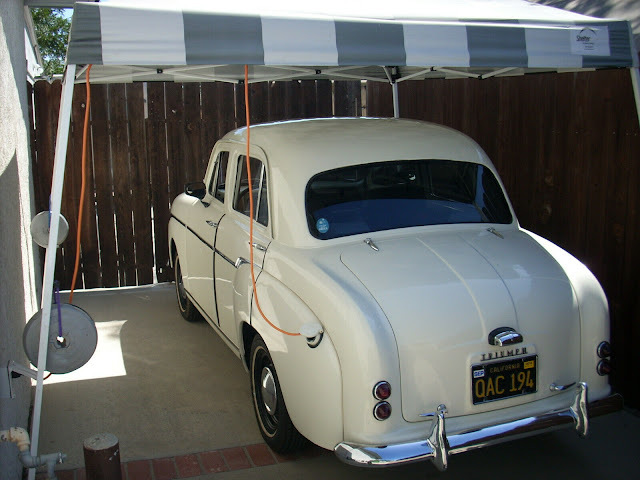 It has to be reliable and mpg is important.needs parkway windows. 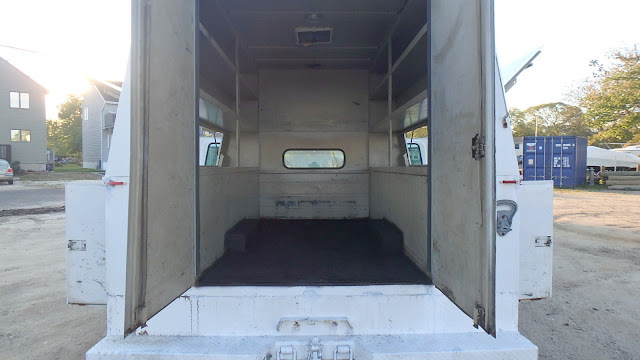 Could be a cargo van that we add an interior to. 10k is our upper limit but less is more better. I am thinking diesel van but open to creative suggestions eg limo, ambulance etc. A few years ago the easy answer would have been to pickup an older Volkswagen Bus, but those things inexplicably cost more than many new cars, so we'll skip to something under the $10k limit. 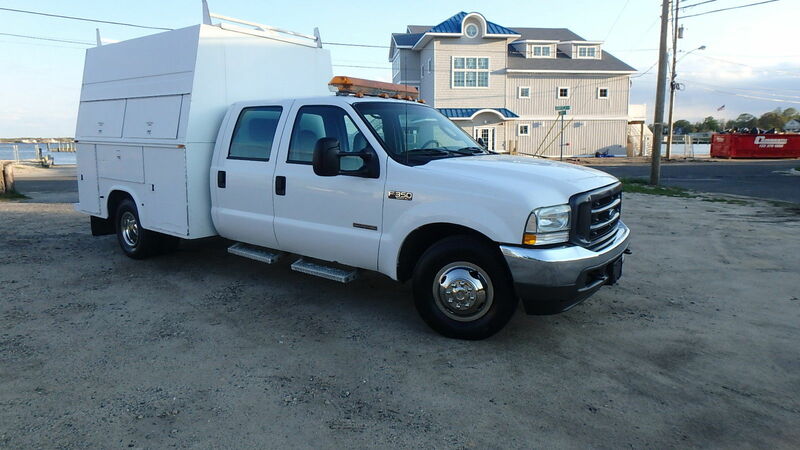 This 2003 Ford F-350 Super Duty Crew Cab pickup here on eBay for $8,900 buy-it-now offers ample seating for 6 and a huge rear cargo section for drums/instruments. Slap a Bob's Pest Control sticker on the side if you want to people to leave it alone. It could almost pass as an Animal Control vehicle -- maybe put a "danger, may contain live snakes" sticker on the back. What can you guys find that is a better band hauler? Comments below. Still doesn't make sense to me. I believe that parkway windows allow you to drive on certain roads over on the East Coast that are prohibited for commercial vehicles...although to be honest I'm still confused. KBZ- For me as a kid, the Taconic Parkway,was the 'slow, but pretty' way to our grandparents. Loved those wooden guard rails. In New York you need at least one set of windows behind the driver for the car to be classified from Commercial to Passenger. Vandura Short Bus with custom deck. Ready for Burning Man! G -- how do you like the new image tags? Ability to resize is nice, eh? Much nicer than having to use imgur to scale an image down before embedding. And three cheers for the return of image embeds! The answer for my brother's band is always something along the lines of an V10 E350, though they aspire to a sprinter or similar some day. Holy smokes, that F-350 may actually be perfect. Huge amount of cargo space, separate cargo and passenger areas, diesel is great for long-haul travel over the gas engines found in most vans, probably a lot easier to secure that cargo area than it is to secure a van with glass everywhere, and it's a way less conspicuous target for theft (huge problem for gigging vans) than your typical tour van. The only bummer is no space to lay down and pass out in the cab, but it's got a lot of advantages.